There are many different ways you can transform the overall look and feel of your home. Some can be expansive renovations—including adding new flooring—while others can be much smaller scale, including adding new window treatments. In Lexington Park, MD, our showroom offers a very cost-effective solution for making a big change to your bedroom, kitchen, bathroom, living room, or any other space in your home. Our window coverings, drapes, and custom blinds enable you to quickly change the look and feel of your space. Griffin’s Flooring America’s showroom is a great place to browse a variety of different kitchen and bathroom window treatments from many of the best-known brands in the business. We have options that can help you boost your privacy, reduce your energy bills, or just give you a stylish new look for your space. There is no need to limit yourself when you come to our showroom for your window treatment needs. Your bathroom and kitchen area can sometimes feel a little impersonal compared to the other rooms in your home due to their primary use being functional. That doesn’t mean you can’t infuse some of your personality into these spaces, however. One of the best ways to do this is by adding gorgeous new bathroom or kitchen window treatments to your space. 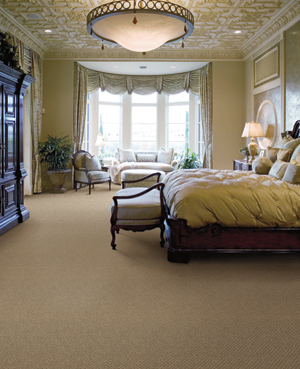 The treatments we offer come in a variety of different styles, patterns, and fabrics to complement your home flooring and to help you achieve the right look for your particular space. Choosing the right style for your space can boost your privacy at night while adding an eye-catching design element to your space throughout the day. Not sure what type of color, pattern, or thickness would work best for your particular space? Not a problem. Our friendly and helpful staff can discuss the different options available to you and help you narrow down your search to just the styles that best fit your needs. Contact us when you are looking for the right type of window treatments for your home. Our team provides helpful assistance to customers located throughout the Lexington Park, Maryland, area.